St. Michael is a small town in the south-east of Salzburg province, more specifically in the Lungau region. St. Michael has a few historic buildings, including a parish church, a church of pilgrimage and a few other buildings. 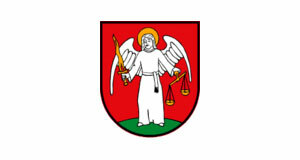 This is due to the fact that St. Michael was an administrative centre for the region for a long time; for example, it there was a court in St. Michael since the 18th century. However, most visitors of St. Michael come for two reasons unrelated to the architectural heritage of the town: Firstly, St. Michael makes a good base for hiking vacations in the Tauern region; during the winter season, skiing and other winter sports are an important selling point. Secondly, St. Michael is known for its cultural heritage, most importantly the Samson Parade or Procession. For this event, which is practiced only in a hand full of communities in the Lungau and the Styrian Murtal, a giant statue surrounded by man-sized dwarf puppets is carried around in the village, accompanied by hundreds of bystanders from near and far. If you are looking for a good opportunity to see Salzburg traditional costume (Tracht), the Samson Umzug is certainly one. The one of St. Michael is usually done on Corpus Christi. However, many anthropologists believe that the origin of the Samson parades are pagan and that Samson is not - as others believe - a Biblical figure, but rather a good spirit that used to be carried around to awake the spirits of fertility in the harsh climate of the Lungau. Whatever Samson is, the event is quite a spectacle and it is worth planning a trip to the Lungau or specifically to St. Michael around it. That being said, the town of St. Michael and the picturesque landscape of its surroundings justify "ordinary" hiking visits, too.